Called to a housing unit on a man-down emergency, a nurse finds a female inmate on the floor flailing about, arching her back, crying, and shaking her head side-to-side. She does not lose consciousness but is holding her eyes tightly shut. The housing officer says she is just throwing a tantrum and faking a seizure. What other diagnoses should be considered? Seizure disorders are common in the inmate patient population. In fact, incarcerated patients are four times more likely to have a seizure disorder than the general population. Reasons for increase seizure activity in our patient population include frequent histories of head trauma, physical abuse, and drug or alcohol involvement. There are many causes of seizures, with the most common, epileptic seizures, being the result of spontaneous and uncontrolled electrical discharge of neurons in the brain that interrupts normal body functions. However, what the nurse is witnessing in the case above does not appear to be an epileptic seizure as the patient seems to be in control of her actions – shaking her head and holding her eyes tightly shut. Maybe the housing officer is correct and this inmate is merely pretending to be seizing to gain attention? Another possible diagnosis in this presentation could be Psychogenic Nonepileptic Seizure (PNS) activity; a psychiatric rather than physiologic condition. PNS results most often from severe childhood trauma and manifests during a psychologically stressful situation. Individuals with PNS are not ‘faking it’ and are not in control of when and how a seizure takes place. Instead, the seizure activity is a coping mechanism to an intense emotional event. Three times more women are diagnosed with PNS than men. Although the exact reason is still unknown, it is suggested that these seizures are an expression of rage, fear, and helplessness that manifests most frequently in women who have histories of abuse. More than half of patients with PNS also have concurrent psychiatric illness such as post-traumatic stress disorder, anxiety disorders, depression, or dissociation disorders. In the case presentation above, the person needs to be treated with compassion. Observations should be carefully documented and medical treatment sought. In particular, the nurse should document the nature, timing, and context of seizure activity. 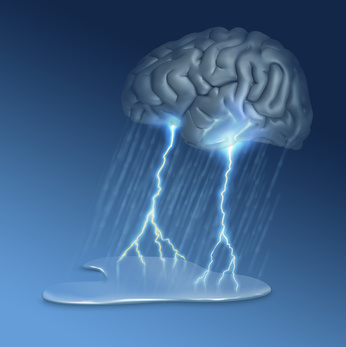 Psychogenic seizures are diagnosed by their presentation and EEG-video monitoring. Once diagnosed, PNS is treated based on the underlying condition and mainly through psychiatric services. Patients may benefit from supportive psychotherapy and lifestyle changes to reduce the effect of situational stressors. Underlying anxiety or depressive disorders may respond to drug treatment. Some patients are helped through behavior modification therapy. You can learn more about psychogenic seizures in the female inmate population by listening to this podcast interview with Gregory Famiglio, MD. What are your experiences with inmate seizure activity? Share your thoughts in the comments section of this post.